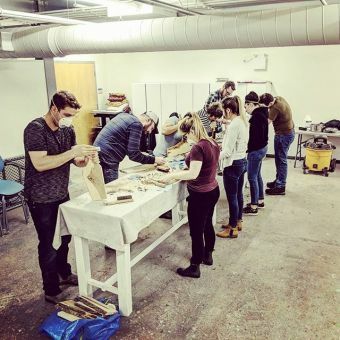 Come learn to make your own wooden serving board by hand with local craftsman Nick Allinson. Nick specializes in live edge serving boards and will teach you everything you need to know. You'll choose your piece of wood, then learn how to refine, shape and finish it to a perfectly smooth surface. All materials and tools are supplied, dress to do some wood working and be prepared to use a little elbow grease.